Since Matahari Mall has entered the market with its Online-to-Offline (O2O) concept, the adoption of the service has been taken up by various players in Indonesia’s ecommerce industry. Indonesian online marketplace firm Tokopedia has also finally joined the O2O commerce tide with its newly launched app ‘Mitra Tokopedia‘. The application will extend its commerce battle into the O2O space, which has become an appealing market for a number of tech companies. By reaching out to offline consumers, Tokopedia said it is targeting the 45 percent of Indonesia’s 240 million population that are not connected to the internet. Its O2O service, according to Tokopedia, will allow anyone with the app to sell a variety of the startup’s digital products including internet data, electricity tokens, and online game vouchers. Mitra Tokopedia, which translates as Tokopedia Partners, is particularly aimed at owners of small shops and kiosks as a business opportunity. The application makes it easier for anyone that would like to start or develop their businesses by bridging the gap between the online retail space to offline customers. “We believe Mitra Tokopedia can be a solution for traditional retail players to be able to participate in technological development trends, especially related to online trading, in a way that makes it easier, faster, and more efficient,” said Tokopedia COO Melissa Siska. Besides selling digital products, the application also presents a wholesale feature, which allows users to buy basic goods that can be delivered directly to the customer’s location. For every purchase, business owners will get immediate benefits in the form of discounts and cashback promotions. But of course, Tokopedia is not the only player in this O2O market. Just months earlier, Indonesia’s other ecommerce unicorn Bukalapak has started implementing an O2O commerce business model which signs up mom-and-pop shop owners to become agents and help shoppers without internet access or those reluctant to make online purchases to order online products while paying in cash. Bukalapak said it has enlisted more than 300,000 kiosk owners in little over a year to offer its range of services. 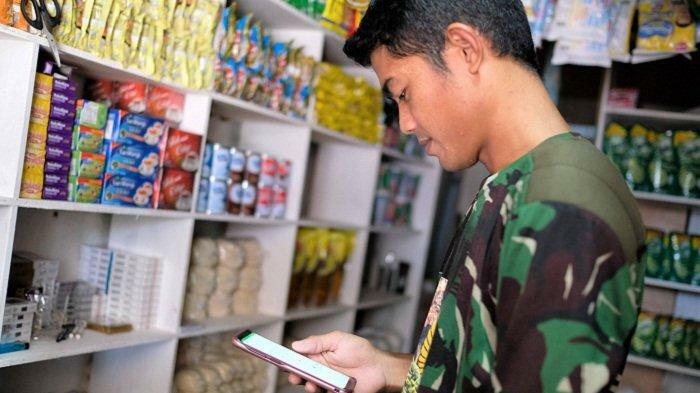 Muhamad Fajrin Rasyid, Bukalapak’s co-founder and president said the kiosks, otherwise known as warungs, will help the company tap into 90 percent of the population who have never bought something online. Indeed, to stay relevant in the market and capture more market share, brands must engage with their customers on various retail touch points, provide an excellent shopping experience both online and offline, as well as ensure brand recall through visibility.